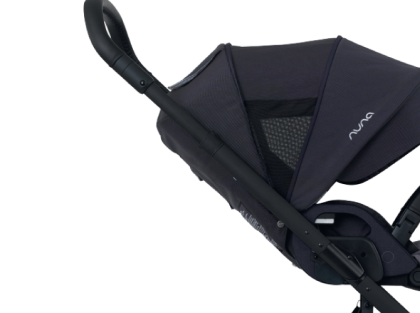 Nuna MIXX2 Review – Luxury and versatility in one! Although Nuna MIXX2 has been on the market for some time now, I’ve had the opportunity to try it out and find out what’s so special about it only few weeks ago. So here’s a story how I met Nuna MIXX2! My friend who has 5-month-old baby asked mi for a coffee. We haven’t seen each other for a while so we agreed “no kids!” 🙂 Finally, we meet at nice coffee shop and she shows up with a baby in a stroller, apologizing me because her husband had some work and couldn’t stayed with the baby. So she was pushing brand new Nuna MIXX2 with one hand, holding her stylish purse in other hand, gliding so easily between tables. Oh, and the storage basket… it was full of shopping bags, diaper bag, blanket and few other things. I was so jealous! So of course I couldn’t resist to ask her about the stroller and try it out. If you’ve read some of my reviews on this blog, you already know how much I love versatile and multifunctional strollers. No wonder, this one stole my heart immediately! I also checked what other parents think about this stroller and decided to put all of the important information in my Nuna MIXX2 review. So if you haven’t heard about this stroller yet or still hesitate if you should go for it, you’re in the right place. When Nuna MIXX stroller was released, it quickly gained many fans among parents. 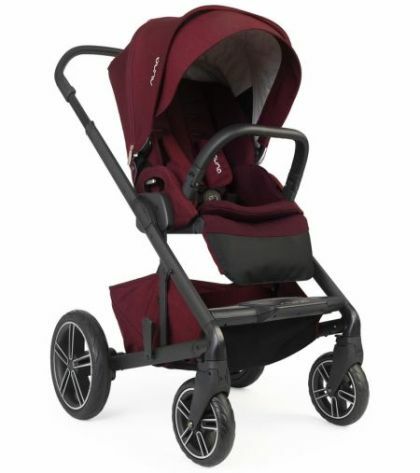 No wonder, it’s not only all-in-one everyday stroller, but also chic looking buggy. Let me introduce you to the new Nuna Mixx2 which went a beautiful makeover and now has ever more luxurious look. Now I would like to tell you a bit more about Nuna Mixx2 features and functions, advantages and disadvantages (if there are any! :)). 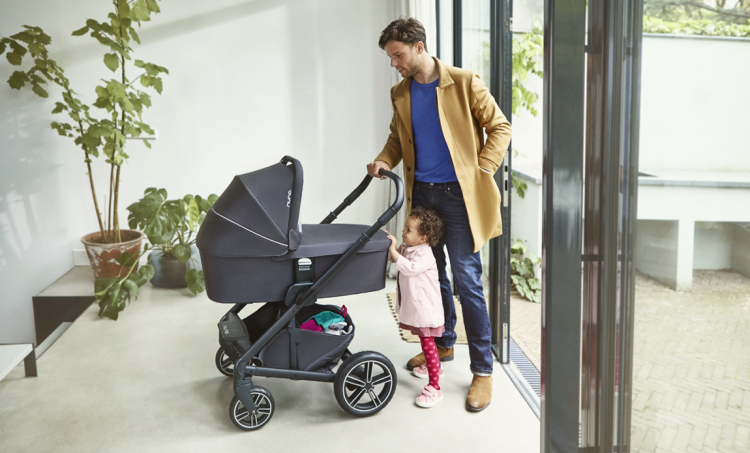 With Nuna MIXX2 you can stroll with your baby in a stylish way! This stroller is also very versatile – perfect for parents who like flexibility. It offers few seating options. There are modes for newborns and toddlers: bassinet, travel system, rear and front facing main seat. This stroller main seat is recommended by manufacturers from birth to 50 lbs. There is 5-position recline to provide maximum comfort during riding and napping. Parents can easily recline the seat with one hand thanks to a handle on the back of the seat (it’s place on the top of the storage pocket) – super intuitive and easy to operate. There is also adjustable calf support and footrest. With Nuna MIXX2 your baby can just lie back in (pretty) flat position and rest his legs comfortably. I added “pretty” because although manufacturer calls it a flat position it is just a little bit reclined (maybe few degrees). I just had to mention it. In my opinion it’s suitable for newborns only with an additional infant insert. You can see the flat position in the first picture below. So you can recline the seat all the way down and then you can lift the calf rest all the way up and snap it to the frame to create a closed space for sleeping little baby. Your baby will be lying flat and won’t slide down or anything. And when the child gets older and bigger you can always lower the calf rest. There is also a step where taller children can rest their feet, however it’s not adjustable and can be used only when baby is facing the World. The seat is equipped with 5-/3-point harness with easy to use release button. Using the restrain takes some practice, for a toddler it is undoable. What I love most about Nuna MIXX2 seat is that the baby can ride facing parents or the World. Reversing the seat is a piece of cake, you just push two buttons on both sides of the seat and take it up. I think it is very useful to have reversible seat. When my babies were little I preferred when they were facing me. Now, when they are older and curious about everything they want to watch everything around and ride facing the World. What I also like about this seat is the upright position – when the seat is fully up, the child can sit pretty straight which is very useful for toddlers who want to see everything. 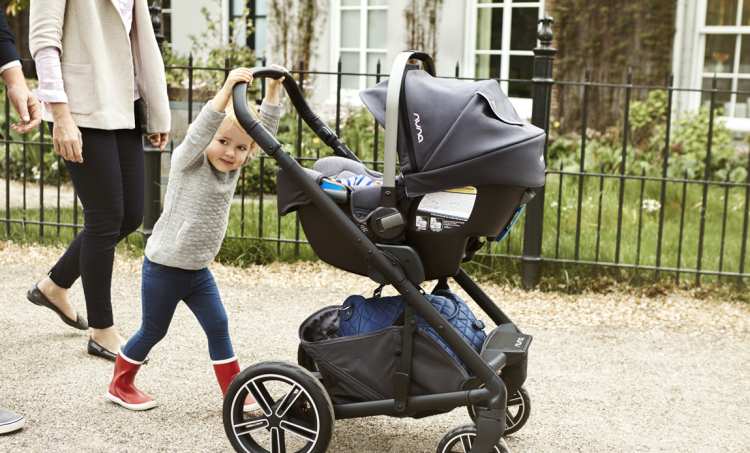 The new 2017 Nuna MIXX2 has new cotton blend fabric which is more comfortable for the little passenger and looks more chic. The material feels like a plush, it is really soft and breathable so it’s perfect if you live in a warm climate. The seat fabric can be easily removed and washed. It’s very important because it WILL get dirty at some point and it’s good to have the ability to clean it in a washing machine. After cleaning it’s easy to put on – everything easily snaps into place. We can also install a removable arm bar to provide more safety ride for the baby. It not only prevents baby from falling out, it’s also a thing that baby can comfortably hold on to. This arm bar features luxurious leather-look fabric. Psst! Do you love this versatile stroller but it’s over your budget? Don’t worry! Here are my reviews of few awesome strollers under $300: Evenflo Pivot Modular, Britax B-Agile 2017, Mountain Buggy Nano. You can also use this stroller with MIXX2 bassinet which provides the most suitable position for newborns. This is the main difference between bassinet and fully recline seat – this one offers truly flat position. It can be used since birth to 20 lbs or 27” (whatever comes first). The carrycot itself weighs 11.2 lbs. This bassinet is approved for overnight sleeping, its canopy is equipped with integrated mesh window to provide extra air-flow. There is also hidden storage pocket for parents essentials. When not in use, it can be easily folded to compact and flat package. It also comes with a Dream Drape, which you can see in the picture below. This cover is designed to provide baby with undisturbed, peaceful sleep. Top cover is removable with release magnets and, just like the mattress cover, it is machine washable. If we want to buy Nuna MIXX2 carrycot separately it is available in the U.S. only in Jett color and costs around $150. 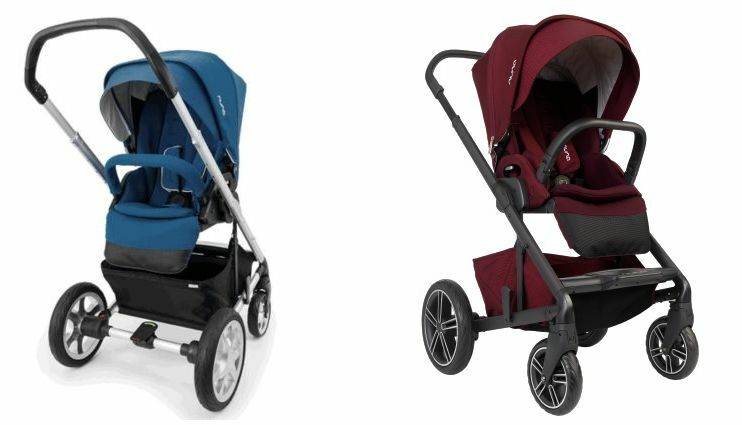 However, if we want to buy Nuna MIXX2 as a set (stroller+bassinet) you have two color options: Jett or Suited. 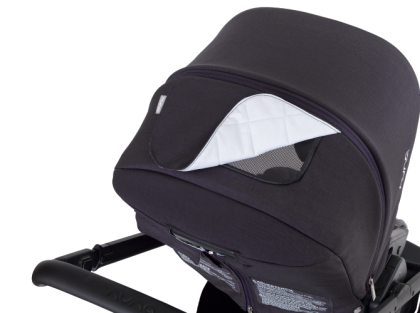 So remember that the main seat goes almost all the way down, just few degrees from flat position, while bassinet offers a fully flat position. Both are suitable for newborns. Therefore with the fully reclined seat, bassinet is actually only an optional item that you can buy, but you doesn’t really have to! How great is that!? 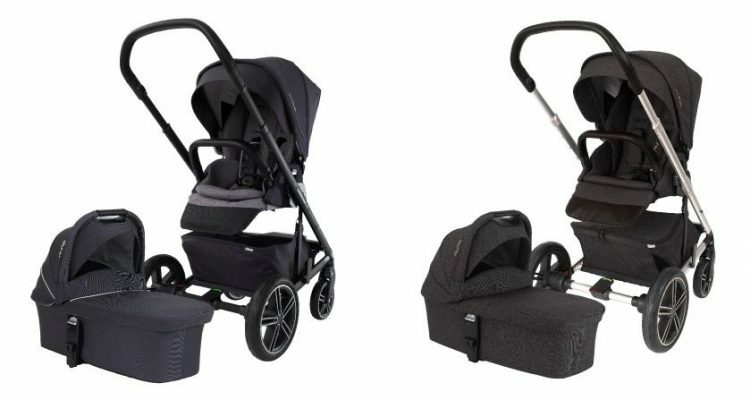 You can also turn Nuna MIXX2 stroller into a travel system. 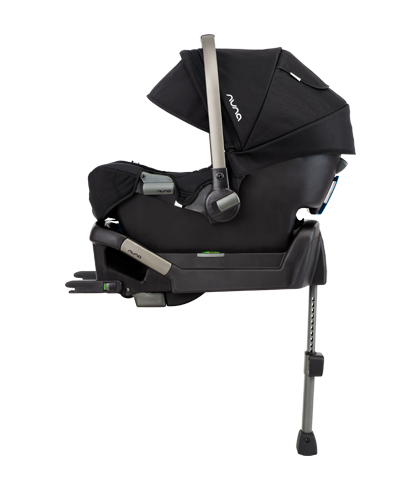 It comes with an adapter for Nuna PIPA car seat and other car seats by Maxi Cosi and Cybex. Nuna MIXX2 is compatible with the PIPA infant car seat, which has not changed since it was released 3 years ago. However there are also two other, recently released, Nuna infant car seats that work with MIXX2 stroller: PIPA Lite LX and PIPA Lite. They are a little bit different from regular PIPA car seat. What’s really great about the adapter is that you can keep it attached to the infant car seat and it won’t interfere with the car seat base installed in the car. It’s really useful that you don’t have to put the adapter on and off every time you want to click the infant car seat into to the stroller frame. Installing the infant car seat takes literally few seconds and it clicks audibly when it’s done so you can be sure you put it in the right spot. 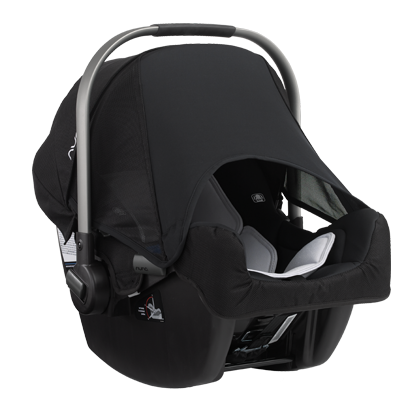 PIPA is one of the lightest infant car seat on the market. It weighs only 7.9 lbs which means it’s very easy to lift and carry around with a convenient ergonomic handle. It’s suitable from birth to 32 lbs or 32 inches. It has a removable body pillow to give infants extra support. When the baby grows you can easily remove it. What’s the most important thing about infant car seat? Safety – of course! When it comes to Nuna, their products not only look awesome but they are designed with child’s safety in mind. Nuna Pipa car seat features side impact protection, stability leg that absorbs the impact in case of an accident and minimizes force to the baby, shell shape that is resilient and keeps the baby in safe position and adjustable 5-point harness. 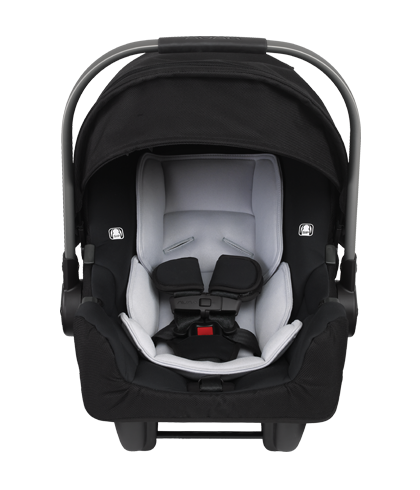 This infant car seat is rearward facing and has large canopy with UPF 50+ protection. 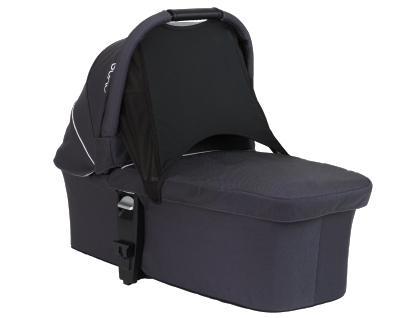 Nuna PIPA car seat also has the Dream Drape like the Nuna MIXX2 carrycot. It gives baby privacy, peace, sun coverage and perfect air-flow for undisturbed, comfy sleep. 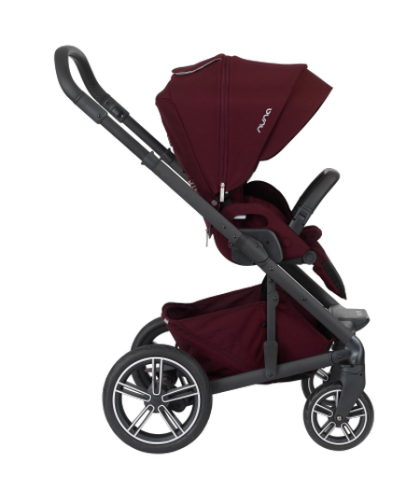 Nuna PIPA comes in 6 different colors which you can pair with the Nuna MIXX2 stroller color version. 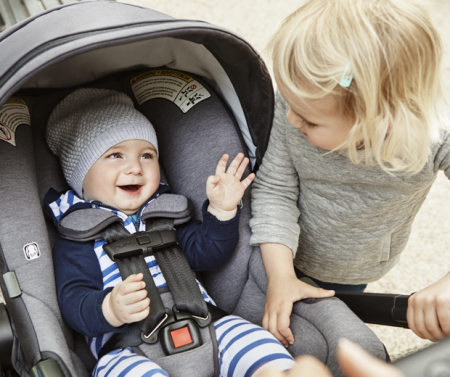 Keep in mind that it’s not included with the stroller – you need to purchase the car seat separately. You can do it for example on PishPosh Baby (click here to check the price & colors). Psst! Are you looking for a travel system for your baby? Check out my other reviews of the best travel systems! 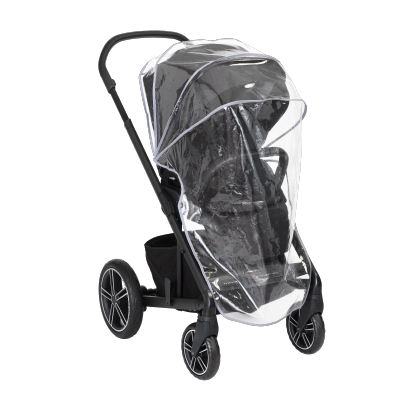 Nuna MIXX2 stroller is equipped with large, extendable canopy made of fabric with UPF 50+ protection. When the canopy is fully extended it fully protects the baby from the sun. There is also a sun visor that you can fasten to the canopy with a zipper (you can hide the zipper under the fabric and the sun visor looks like a part of the canopy). When you don’t need the sun visor you can just simply unzip it and put it into the storage basket or fold it inside the canopy. One of the panels of the canopy can be open with a zipper and extended. When you open it you get two additional mesh windows on both sides of the canopy which provides extra ventilation. There is also mesh peek-a-boo window. It doesn’t have loud Velcro closure, but silent magnets so you can check on your little one the whole time without disturbing his sleep. This Nuna stroller has foam-filled wheels so you don’t have to worry about inflating or taking air-pump everywhere. Rear wheels are 11″ and front wheels are now 7.5″ – a little bigger than in previous version. Nuna MIXX2 wheels not only roll very nicely, but also look super stylish. Chrome black wheels with white parts together with the dark matte frame look chic and smart. 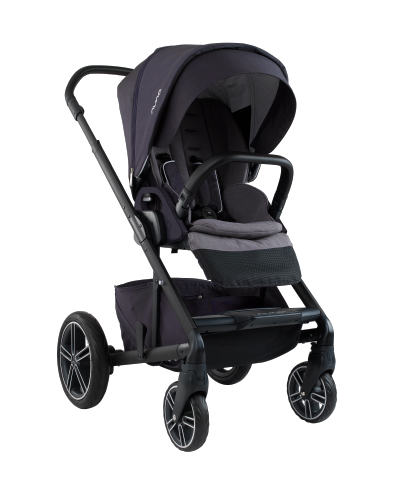 Nuna MIXX2 stroller is equipped with single action brake that locks the rear wheels. The pedal is conveniently places in the middle of rear axle and has color indicators. Using is simple and very intuitive, no matter if you stand behind it or aside. To lock the stroller you need to step on the red side and to release the wheels you have to press the green part. It’s easy to do in flip flops, sneakers or high heels and you don’t have to worry you hurt your toes or tear your shoes. MIXX2 by Nuna features adjustable, telescoping handlebar with three height positions. It extends from 38” to 42” from the ground, providing comfortable pushing for shorter and taller parents. This push bar has really stylish and luxury look thanks to hand-sewn fabric that looks like a leather. Although this is not a real leather it feels really nice and all the stitches and the fabric are high-quality. Nuna MIXX2 stroller maneuvers very smoothly and can be pushed with one hand. Its wheels roll nicely so navigating and turning is almost effortless. This Nuna stroller has really tight turning radius and turns 360 degrees without any problems. Such an easy operating is unsurpassed among full-sized stroller. This stroller is awesome for city use, trips to the mall or park, going to playground or daycare and trips to grandparents. Large foam wheels allow you to stroll over unbeaten terrain. Progressive suspension technology provides smooth and comfortable ride. 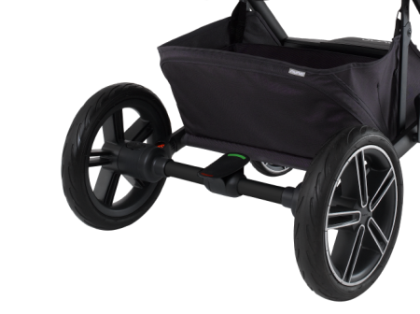 Although this is not a jogger or all-terrain stroller, it handles more rough surfaces. You can push it over grass, gravel, cobblestone and cracked sidewalks. Thanks to big rear wheels and suspension system, it will roll smoothly. Nuna MIXX2 has really awesome storage basket under the seat. It’s HUGE! There is a zippered pouch inside where you can put your small belongings like keys or wallet (or car seat adapter if you would like to use it). There is also a divider so you can separate your stuff into two pouches which might be really useful if you take a lot of things with you and you don’t want to waste time on searching them in a large basket. You can also use the basket as one big storage, it really depends on your preferences. As you can see in the picture this basket is really huge, you can easily fit there a big diaper bag, your purse, some snacks and a blanket for your baby. And it’s very easy accessible from the back and both sides. This basket also has been upgraded in the new version of the stroller. Now it is made of the same material as the canopy, instead of a mesh in previous version. There is also one additional storage pouch on the back of the seat. In the new 2017 Nuna MIXX2 it is much bigger and placed in the middle of the seat back. It’s also pretty big and it will easily accommodate your phone, wallet, tissues, wipes or even some snack. What I also like about this storage is the silent magnetic closure – you don’t have to worry about waking up your baby. Nuna MIXX2 is a standard full-sized stroller, therefore it weighs more than lightweight travel strollers. MIXX2 by Nuna weighs 26.8 lbs and its dimensions are: 44.3″ x 23.4″ x 33.5″ (H x W x L). Folding is simple and quick, no matter if the seat is rear or front facing (it’s actually very useful and a big advantage, that you don’t have to change the position of the seat before folding – like for example in UPPAbaby Vista). You can also take off the seat first and fold the frame separately. 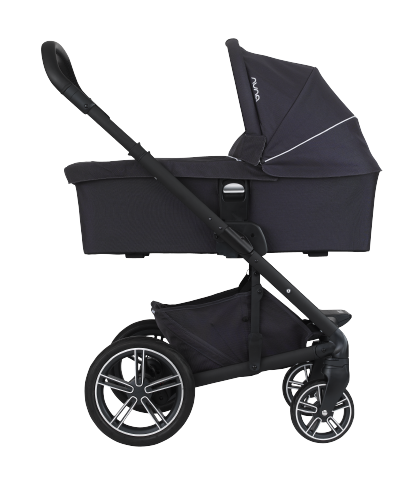 Folded Nuna MIXX2 stroller is pretty compact and flat: 16″ x 23.6″ x 35.8″ (H x W x L). This Nuna stroller has one more great feature when it’s folded – you can pull it like a suitcase, leaning on the rear wheels. It’s really useful that you don’t have to carry this stroller all the way, you can just simply roll it. There is automatic lock which keeps the stroller folded. Unfolding is also pretty easily and one-hand, however it requires bending. Remember that first you need to unlock the stroller. Nuna MIXX2 arrives folded, without the wheels and rear axle attached. 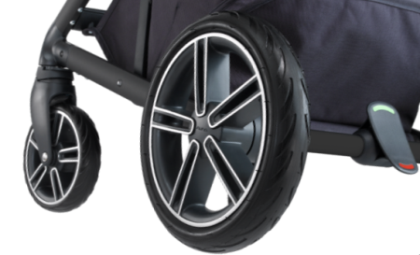 You just need to open the stroller, add the rear axle and put the wheels on – everything easily clicks into the right spot. The seat fabric and canopy are already on, but you need to attach them to both sides of the stroller. All can be done within few minutes. 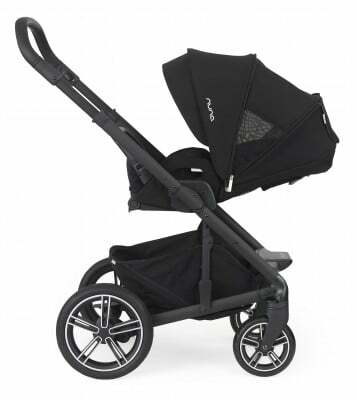 Nuna MIXX2 stroller comes with a rain cover and adapter for PIPA infant car seat and car seats from Maxi Cosi and Cybex. You can also purchase separately travel bag, footmuff and seat liner. You can also find on the market cup holder, child tray and parent organizer for Nuna stroller. To sum up my Nuna MIXX2 review I present you a list of advantages and disadvantages of this stroller, although it was really hard to find the latter one! Less color options for bassinet in the U.S. Here you can watch a funny video about Nuna MIXX: unboxing, assemling and some features. 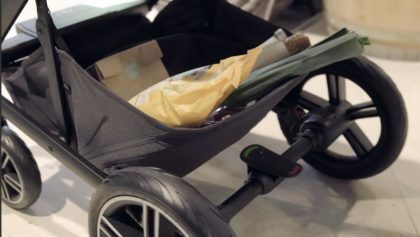 Although the video is about the previous version of this stroller – Nuna MIXX (Jett), it is very similar to the newest version. The only things different are: smaller storage pocket on the back of the seat and no fabric cover on the handles on both sides of the seat in previous model. If we look closely we’ll realize that the newest 2017 Nuna MIXX2 is very similar to the previous Nuna MIXX in Jett color, which was better “equipped” than other colors. Nuna MIXX2 comes in four color versions: Caviar, Indigo, Bery, Jett and Suited. The last two versions can be bought as a set with the bassinet. Keep in mind that color versions may have different prices. Before you decide to buy this stroller don’t forget to compare the prices and discounts for all colors. Probably many parents wonder what is the difference between the previous version of Nuna MIXX and the newest 2017 Nuna MIXX2. This stroller went a really beautiful makeover. All of the changes were manufacturer’s response to customers complains. Here is my comparison Nuna MIXX vs MIXX2 – list of changes and upgrades. All season seat – Bamboo seat padding that wicks away moisture, is removable and reveals mesh seat back. The padding is machine washable. No-rethread harness – you don’t have to put the harness straps through holes anymore to adjust it to baby’s height. The harness easily adjusts as the child grows. The seat is mounted higher – which makes bonding with your baby even easier when the baby is facing you. 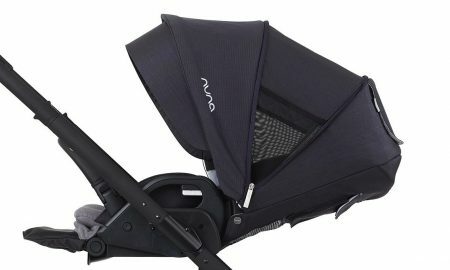 Nuna gives 2-year warranty for their gear and 1-year warranty for their infant car seats, MIXX bassinet and accessories. You can read more about it on Nuna’s official website. Nuna MIXX2 is fairly new on the market and hasn’t got many customers reviews yet. However I found few reviews written by other parents in different online shops. What parents praise and complain about most often? The stroller is easy to put together and looks very stylish. It moves and turns easily. Folding and opening is not a problem at all and the basket is large enough to accommodate all needed parents’ stuff. 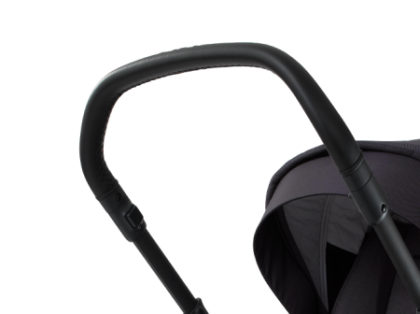 The main complains are: the stroller doesn’t expand (you can’t attach another seat or a board) and the canopy doesn’t always stay in place when it’s open and the seat is fully reclined. I have to admit that – Nuna MIXX2 is a serious competition for strollers like UPPAbaby Vista, especially that it has few better features, performs really well and costs less! 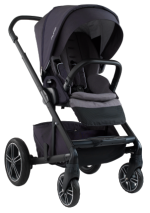 It’s super comfortable for the baby, easy to push and glides like a breeze. And it looks so chic! Moreover, Nuna MIXX2 is also safe for the baby, because it doesn’t contain any chemical ingredients according to the manufacturer. No wonder so many parents felt in love with it! It’s not all-terrain stroller and it’s not a lightweight stroller for travel, however it’s not its purpose. 1. 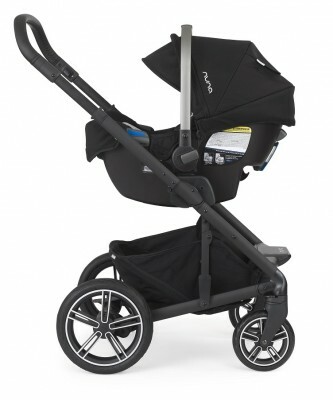 Nuna MIXX2 is one of the best full-sized, convertible strollers available on the market today. It serves as an everyday stroller – perfect for shopping, strolling around the city, trips to park and even strolling over dirt roads. 2. 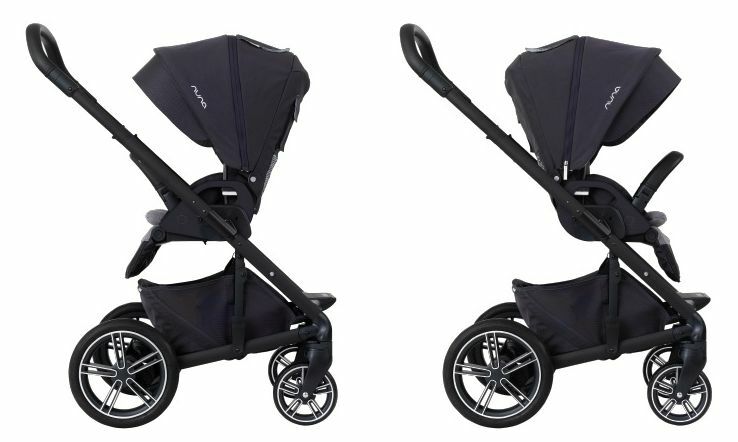 Thanks to Nuna MIXX2 you don’t have to compromise between comfort, safety, functionality and stylish look. You can have it all in one stroller! 3. It is awesome all-in-one stroller that will serve since day one for at least couple of years. This could be your primary and only stroller. 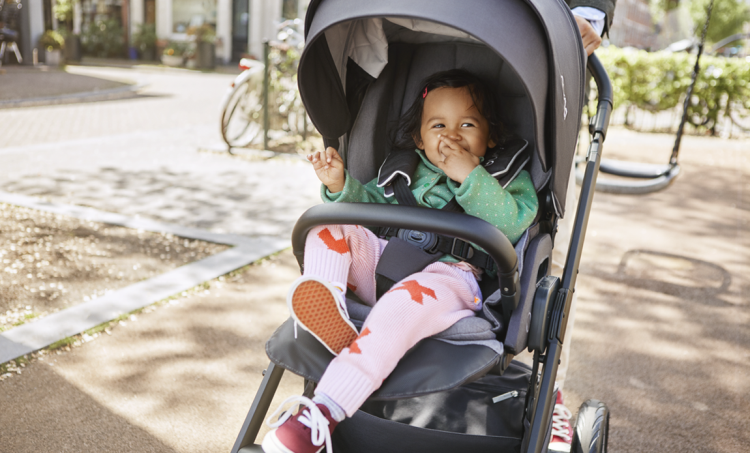 Nuna MIXX2 is not the cheapest stroller on the market, so before you decide to buy it read other parents reviews to make sure it suit your style and check available discounts (click here to see current price). I am visiting my 9 month grandson and I find the Nuna stroller very difficult to strap him in. In a dark, hot, narrow Brooklyn apartment corridor, it is hard to navigate the 5 part strap with a squirmy 9 month month old. One strap over each shoulder and then each leg affixed into a central point. The shoulder strap attachments have to be affixed just so. I will not recommend this stroller.